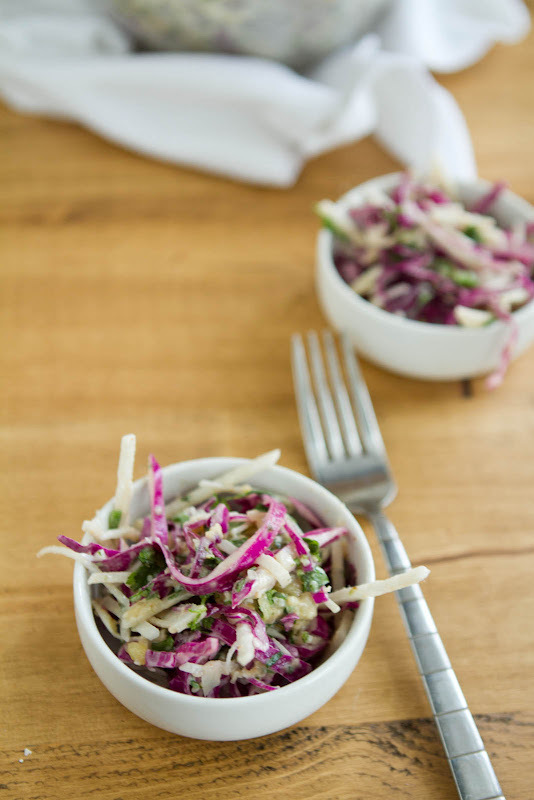 Jicama Fiesta Slaw | Naturally. Today is an Elton John day. I’m not quite sure what that means except that I had to get out of the house to work on a paper and the first music I threw on was Bennie and the Jets. And of course, instead of writing my paper, I’m blogging. Procrastination at my finest. The verdict? Delicious! Even M (who is a fan of mayo based slaw) liked it. 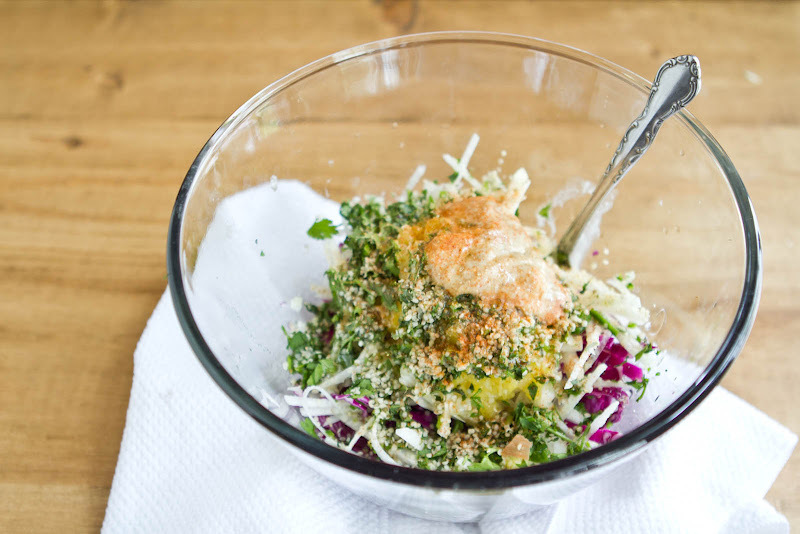 I loved the use of tahini, hemp seeds, and citrus (which I actually used diced up pineapple.) Want to try? Check out the recipe over at the Family Kitchen! Also, since I’m procrastinating and all- look what I purchased yesterday! I went to the local bike shop about getting my Mom’s old bike fixed up and they had this 1972 Schwinn for sale. I’ve been looking for a bike to ride back and forth to school (I love my mountain bike but it’s just too much work) and I found this. Impulse purchase but I fell head over heels in love with it! Okay! Now to tackle my last paper! That slaw looks yummy! I knew it looked familiar, I’ve been meaning to try it. Good luck with your last paper! Thanks (and good luck with your paper!) I at least got 3 more pages written today 🙂 Progress! 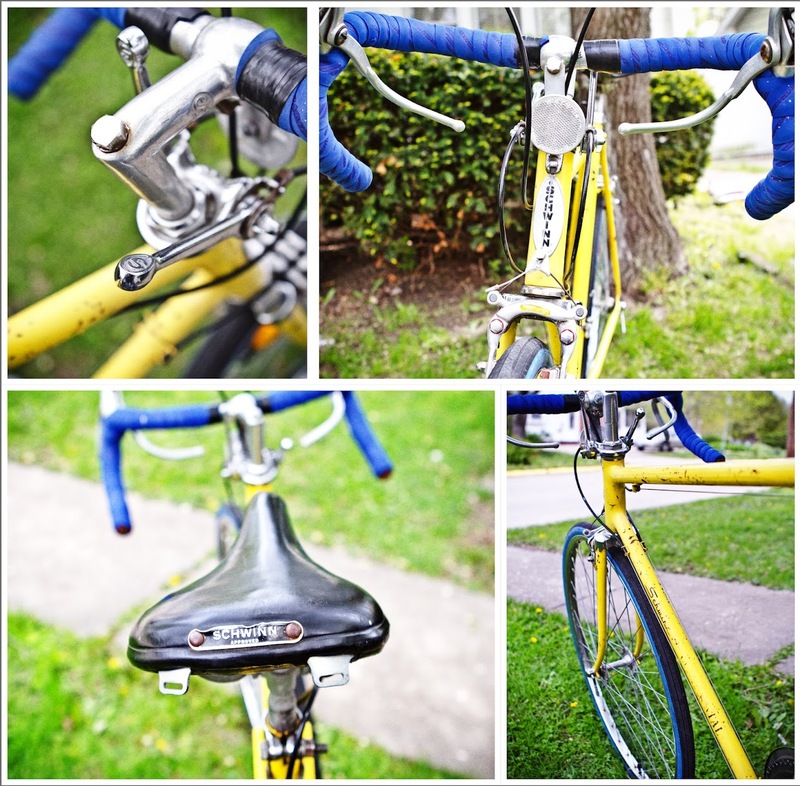 Love your bike! and the salad looks delicious. Yum! 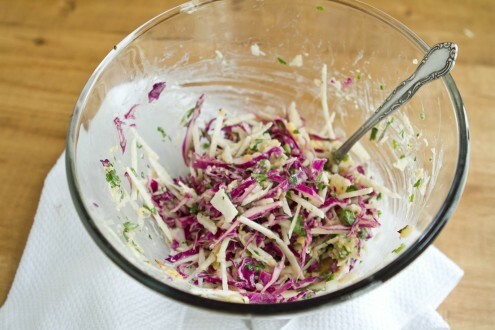 That slaw looks so delicious, using tahini is a fantastic idea!